Ian Gawler: Out on a Limb: Lumpectomy-or-mastectomy? Sadly, I often hear of people who when first faced with a cancer diagnosis make choices they later regret - because they did not know in advance what was best, and in the heat of the moment, they made an unwise choice. As breast cancer rates continue to rise, women faced with that diagnosis are called upon to make many choices. 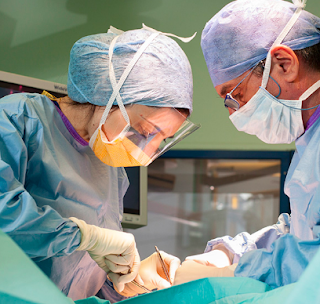 Often, the first major choice is how much surgery to agree to. Is it better to just have the cancerous lump removed (lumpectomy - a smaller, breast conserving operation) or go ahead and have the whole breast removed (mastectomy)? First be clear. In cancer medicine, as in all medicine, each individual is unique. So any woman diagnosed with breast cancer requires an individual diagnosis and an individual treatment plan. What follows is based upon statistics. For any new woman diagnosed with breast cancer, or for that matter, any person diagnosed with any cancer, the statistics are informative but that is all. Statistics apply to groups of people. Individual people need individual treatment plans not statistics. Having said that, recent statistics shed new light on a long standing question that has beset patients and clinicians alike – is a lumpectomy OK for women with breast cancer; does it have a worse or better long term outcome? This latest large, retrospective, long-term study suggests quite strongly that breast-conserving therapy (BCT), which consists of lumpectomy with radiotherapy, might be a better option than mastectomy for many women. The results show that the relative risk for death after 10 years was nearly 20% lower in women who underwent BCT than in those who underwent mastectomy alone. The 10-year rate of overall survival was better with BCT than with mastectomy (76.8% vs 59.7%). In the BCT group, the overall survival benefits were observed despite the tumor size or the number of nodes affected. This study, conducted in Holland, involved women diagnosed from 2000 to 2004, and is important because it provides 10-year follow-up data. Most recent observational studies, which have also shown better survival with BCT, have been limited to 5 years of post-treatment data, which is "quite short" for breast cancer according to researcher Dr Sabine Siesling. "The main take-away message is that breast-conserving therapy should be the treatment of choice, especially in small tumors, when it is medically feasible," she concluded. Curiously, while an American clinician director of the symposium, Dr Carlos Arteaga agreed with Dr Siesling’s message, he stated that the study would not likely change current guidelines. Mastectomy is generally recommended when, among other things, tumor multicentricity is present or the size of the tumor (relative to the size of the breast) dictates. In the Dutch study, the women who underwent BCT tended to be younger and to have smaller well-differentiated ductal tumors, unifocal tumors, less hormonal therapy, and less axillary lymph node dissection. 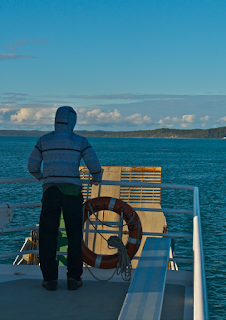 "We think that radiation therapy may have played an important role in the difference in the outcomes from both treatments, although we cannot prove it with our data," Dr Siesling said in a press statement. 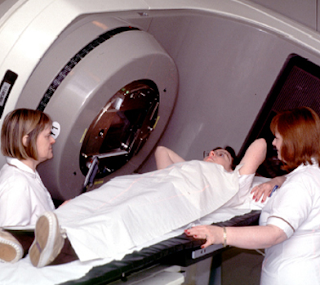 She also explained that, in the Netherlands, radiation therapy is not performed in conjunction with mastectomy. The study has limitations, Dr Siesling acknowledged, such as potential confounders that could be at play, including the fact that there was no information about the HER2 status of the patients or their comorbidities. "However, we do not expect these factors to overrule the large impact of all the variables we included in the analyses," she added. What this data probably indicates is that faced with a breast cancer diagnosis, based on current evidence, breast-conserving therapy could well be the treatment of choice. It probably means one would need to be well convinced to do anything else. So this is not to say that a mastectomy may not be the best choice, but that one would need to be convinced by pretty good evidence that it was before agreeing to it. What ever medical choices are made, it is of course an imperative that anyone diagnosed with cancer review their lifestyle and consider who they can minimise any potential side-effects, gain the best from any medical treatments and use their own resources to generate healing from within, to find meaning through the illness and to experience long lasting good health and contentment. San Antonio Breast Cancer Symposium (SABCS) 2015: Abstract S3-05. It is a delight to be able to say that very positive feedback has been coming following the recent release of our Gateway Meditation App. The App makes it possible to access all your favourite meditations via an elegant, easy to use App with heaps of support features. 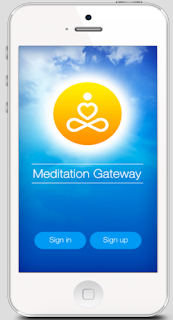 With the App, you also can customise your meditation sessions and even meditate with friends in a virtual group. The Meditation Gateway is a platform app and while several different teachers and meditation schools are using it already, several more will be doing so quite soon. I am thrilled that all my key guided practices and teachings from the Mindbody Mastery program are now available on the Meditation Gateway App. Easy to use, intuitive in its design, the App has a host of features to inspire, instruct and support you as you deepen your experience of relaxation, mindfulness, meditation, imagery and contemplation. Available for a modest monthly subscription, you can access all this today using any Apple smartphone or ipad; the Android version will follow shortly. Go to the Meditation Gateway App. I was initially diagnosed with DCIS in 2008. I had a lumpectomy followed by five weeks of radiation. My oncologists parting words to me were, "You don't have cancer and you never have had cancer." Being young and naïve I didn't understand that there was even a need to make lifestyle changes. Certainly, no health professional suggested making changes. Several years later I was diagnosed with stage 3 breast cancer.